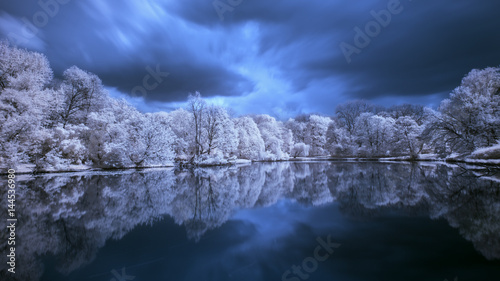 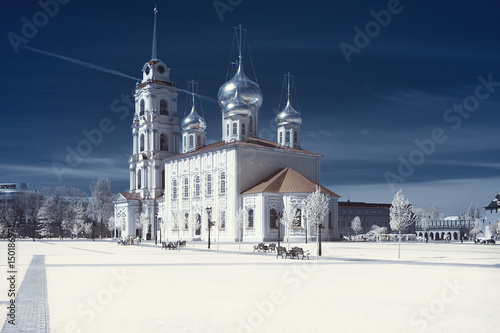 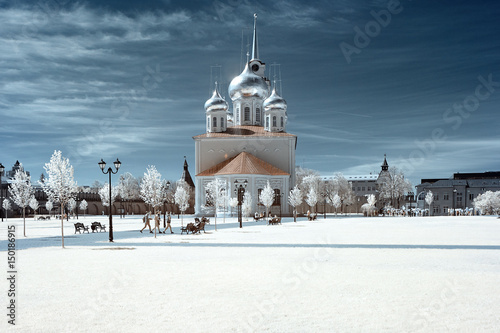 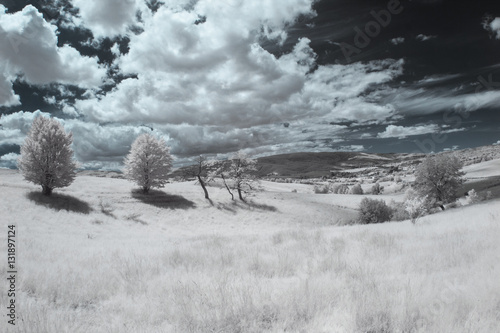 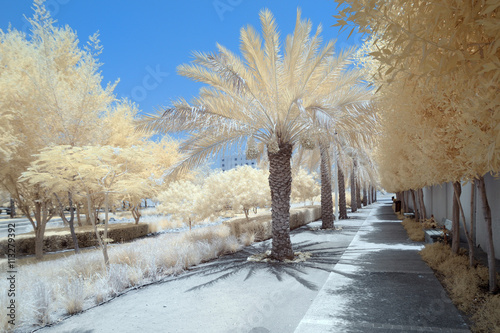 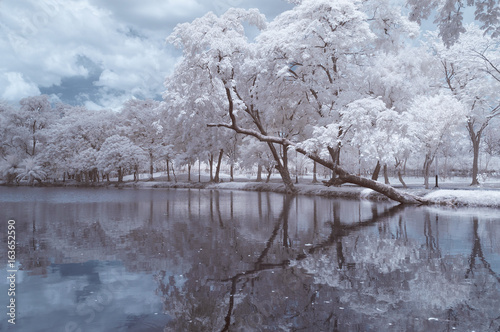 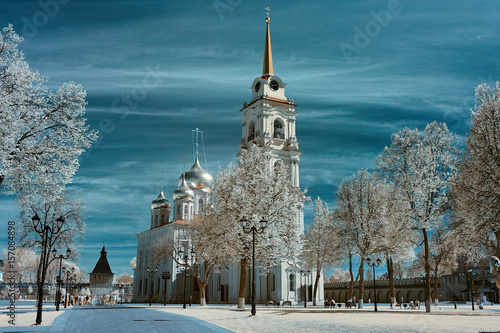 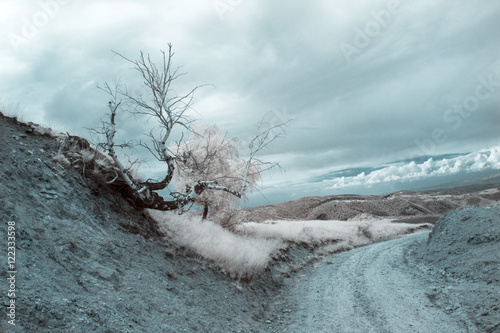 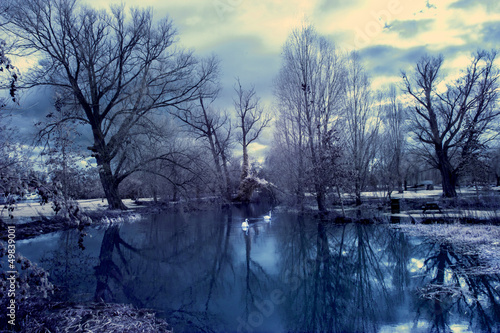 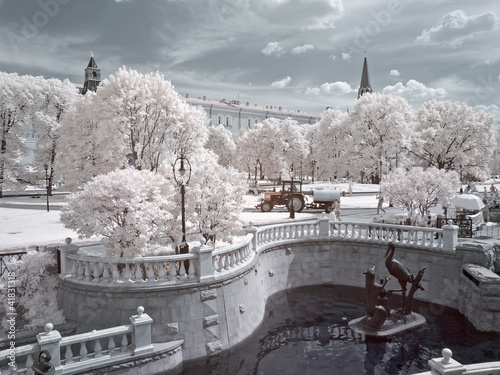 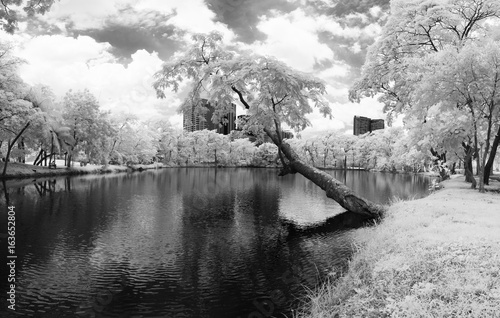 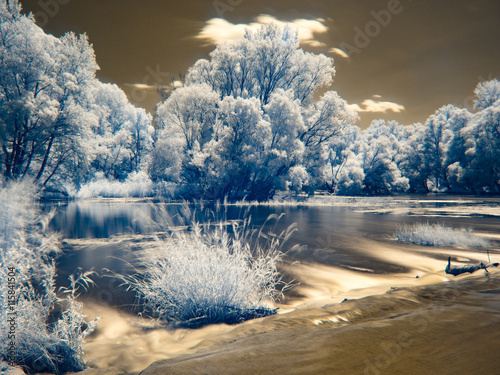 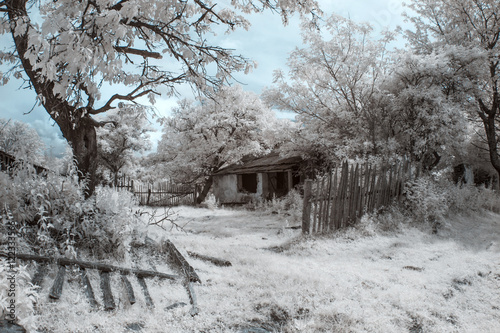 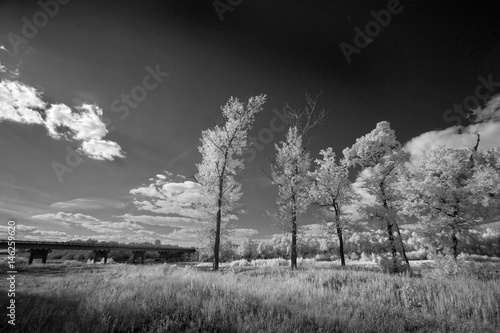 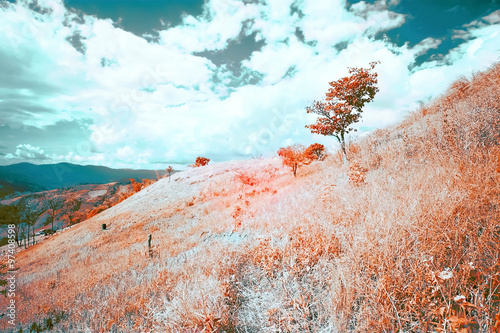 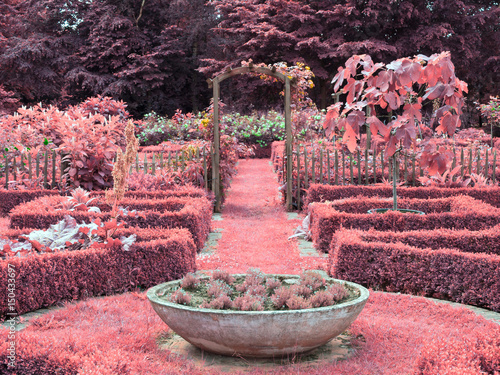 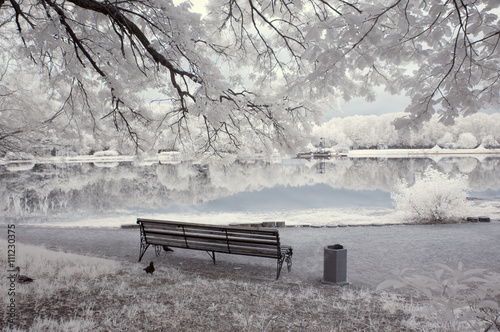 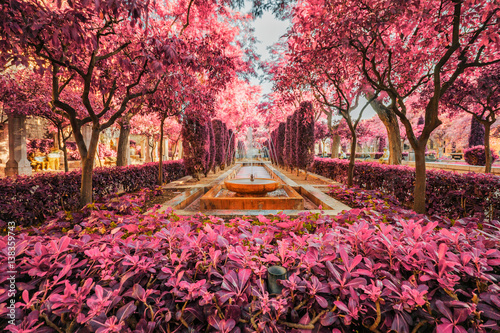 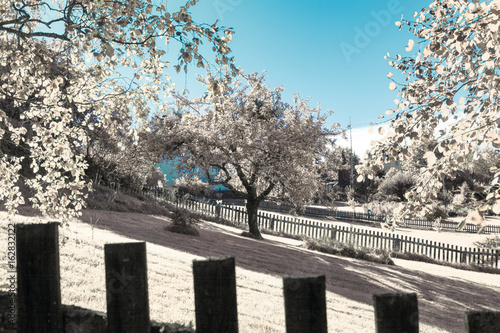 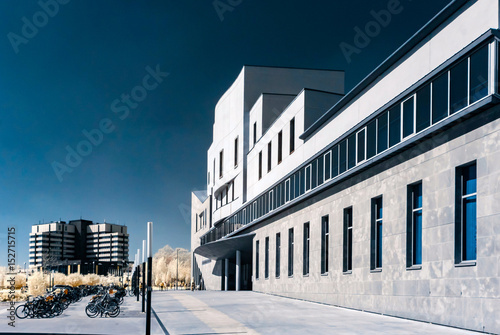 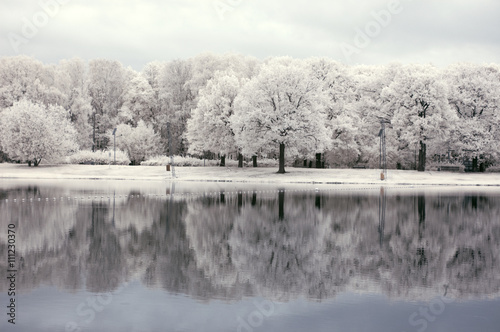 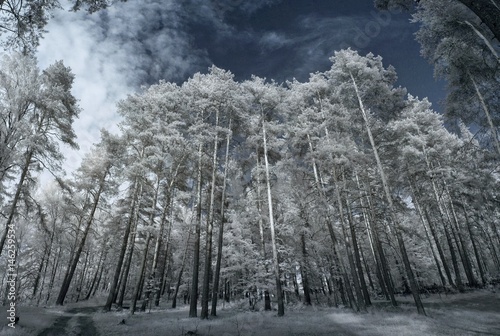 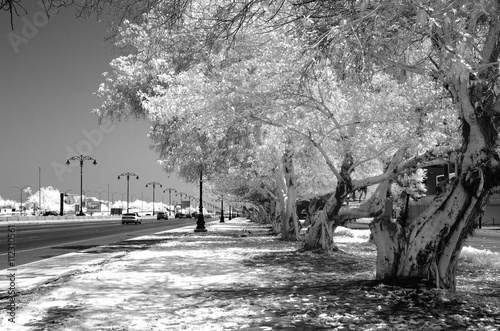 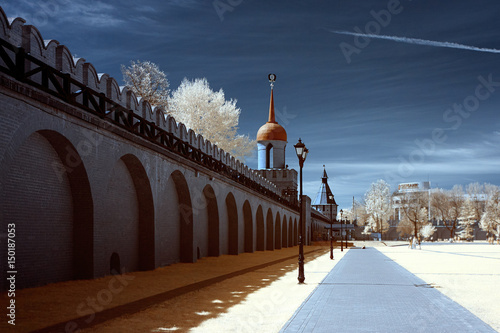 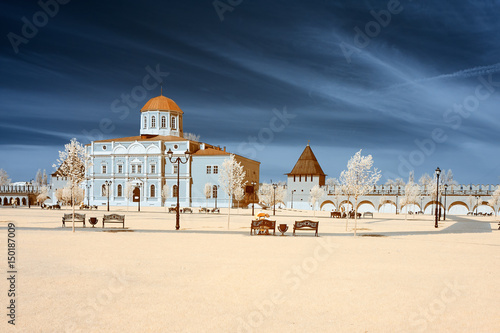 Infrared photography is a type of photography where the image or the film sensor that is used is sensitive to infrared light. 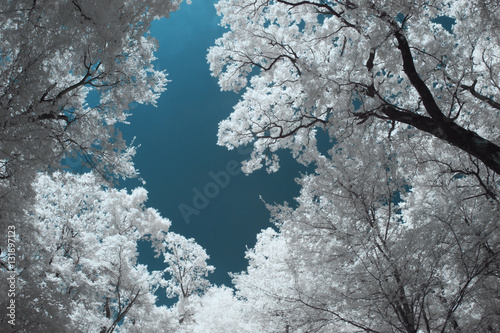 A filter that is put on the lens create these beautiful photos. 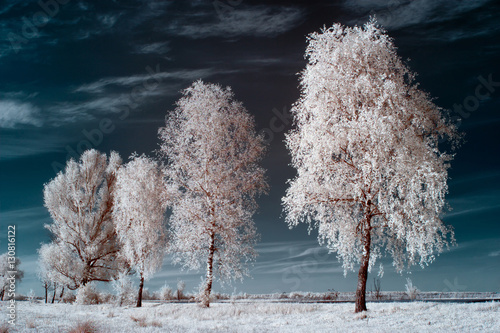 These pictures look like they have been post processed however they have not been photoshopped at all.